With 150 undergraduate programs, you’re sure to find a major that fits your interests and career goals. 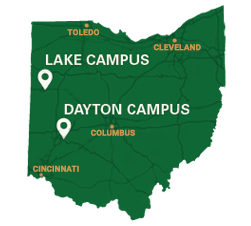 Named for Ohio's world-famous Wright brothers, Wright State University offers an exceptional, inclusive, and valuable education that puts pioneering students on the path to future success. See how our graduates are realizing their potential. Elizabeth Conzo-Kershner helped establish a Student Government scholarship when she was a student and to get it endowed in 2018. Join us for our Annual International Festival! Wright State students from across the university came together to devise solutions to plastic waste in the world's oceans at the spring Innovation Weekend.